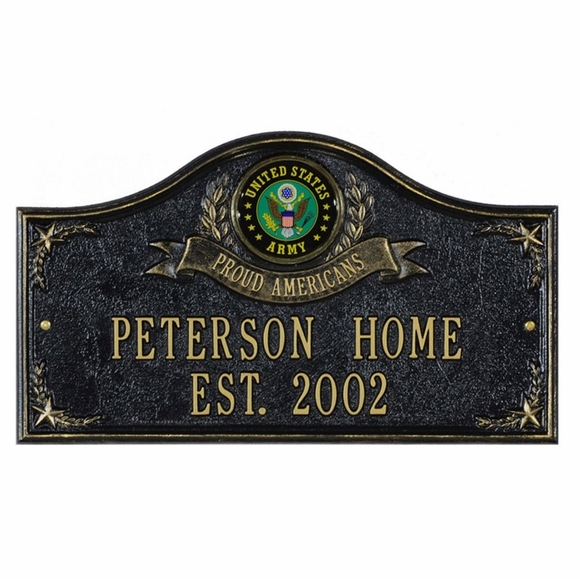 Personalized US Military Proud Americans Address Plaque - - with a United States Army, Air Force, Coast Guard, Navy, or Marines medallion and a banner that reads Proud Americans. Wall mount or lawn mount options. Made in USA.